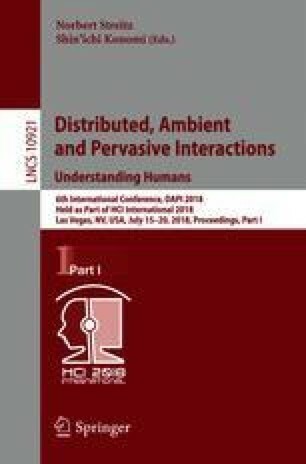 This paper proposes a method of communication wake control for encounters between three or more users of animal wearable communication devices when threatening behavior against an external stimulus is detected. Specifically, it identifies an encounter of three or more contacts using an acceleration sensor attached to an animal, and uses this as a trigger to wake the communication device to transmit and receive data between the devices. In order to evaluate this algorithm, evaluation experiments were conducted using four standard poodles. With the cooperation of veterinary researchers, we established conditions where strangers with cameras passed immediately in front of the dogs’ run, in order to provide the threatening behavior used to trigger communication wake control. This study was supported by JSPS Kakenhi via grants 26700015 and 16K12666, MIC Scope via grant 162103107, JST Presto 11012, and the Moritani Scholarship Foundation.